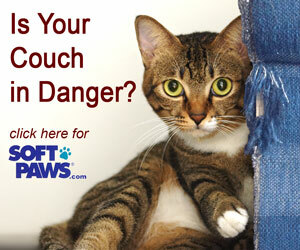 It can be a helpless feeling to find your cat unresponsive and not know what to do. While we can't take the stress out of this situation if it happens to you, we can arm you with some information, so you'll be prepared to take action. Put your ear near your cat's nose and mouth and listen for breathing. Place your hand on your cat's chest and feel for the rise and fall of breathing. Use your fingers in front of your cat's nose to feel for a breath. You may try placing a thin tissue in front of your cat's nose and see if a breath pushes it out. If your cat is breathing, don't perform CPR. Get to the veterinarian right away. Straighten your cat's neck, so the airway is unimpeded. Open the kitty's mouth, pull the tongue forward, and check the airway for any obstructions such as a small toy. Remove anything you see. Place a hand on each side of your cat's chest, right behind the front legs. Feel carefully for a heartbeat for at least 10 seconds. Never attempt to perform CPR on a cat that is responsive; you may be injured and you may injure your cat. 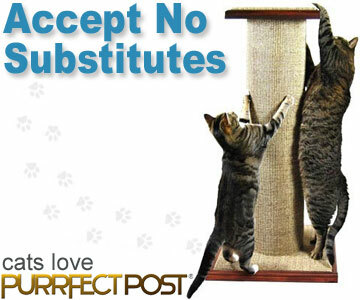 Lay your cat on his right side on a table or other surface where you can easily reach him. Place one palm over your cat's chest where his elbow sits. Place the other hand underneath the kitty, across from the first hand. Compress the chest, but be careful not to push too hard and risk breaking your cat's ribs. Push down about ½ inch or so, until the chest cavity compresses by about 1/3. Compress 1 time per second, and perform 5 compressions, then give the kitty a breath. Place your mouth over your cat's nose, wrap your hands around your mouth and your cat's muzzle to make a seal, and breathe in gently until you see the kitty's chest rise. Continue exhaling into your cat's nose for 2-3 seconds. Check for a heartbeat. If none is found, repeat steps 4 and 5, pausing after each breath to check for a heartbeat. If there are two people available to help, one should do 5 compressions, and then the other should give a breath. Continue CPR until your cat's heartbeat returns or until 20 minutes have passed with no response. If your cat's heartbeat returns, transport him to the veterinarian right away, calling to let them know you're coming if possible. CPR can also be given in the car on the way to the veterinarian's office if there is one person to perform it and one to drive. You can learn more about feline first aid by visiting this article, "First Aid for Cats: An Overview" and clicking on the individual condition links.